The drive up to Brasstown Bald was done in the dark, but as I was heading west to Dawsonville I was really able to see the bright Fall colors. I have been up to Helen several times in the last few years during this time of year, but never this far North. The trip to my next stop was only about an hour, but the scenery was so beautiful I was hardly in a rush. Coming out of Blairsville was mostly rolling landscape, but it eventually turned into the curvy up and down roads that I remember as a kid. I also got to go through downtown Dahlonega. There was much more green in the trees than at the top of Brasstown. It made for a beautiful blend between all the earth-tones and a bright blue background. 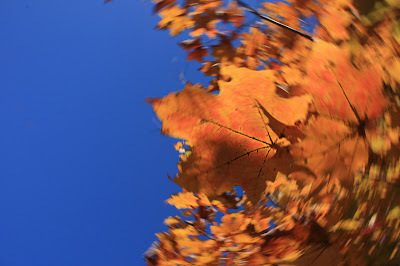 The blue sky is beautiful in itself, but my Circular Polarizer really makes it pop in my photos. I was looking forward to using it. And I was really looking forward to my next stop, the tallest cascade in the Southeast, Amicalola Falls. I did stop a few times on the way to take some pictures of the scenery, but eventually made it to Amicalola Falls. I had read on the GeorgiaParks.org website that there are a lot of visitors this time of year and there may be a lot of people. I found this to be very true as I pulled into the park. I was glad I was there on a Friday and not on the weekend; there were cars everywhere. I made my way to the small parking lot and fought the crowd for a spot. There seemed to be a lot of Buick’s.....im just sayin. The top of the Falls was right by the parking lot, I almost walked past it. Kind of anti-climactic when I found out that was it. I then found a stairway that lead down to the base of Amicalola Falls, and started down them. The sturdy wooden staircase zigzags along the side of the falls, but there were really no good spots to get a picture of it. 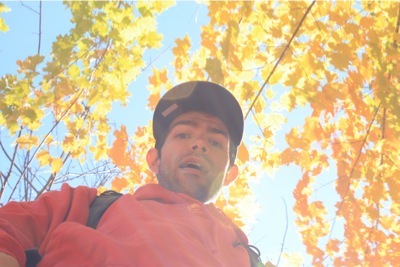 This trek was probably the most colorful part of the day though as I was just beneath the canopy of colored leaves. The sun was shining bright and really lit up the path with bright orange, green, and yellow colors. About a 5 or 10 minute decent and I came to the base of the falls. The staircase wrapped in front of the falls and then continued on down. This made for a very convenient spot for taking pictures, however there was little creativity that could be done. Since you have to stay on the staircase, every angle of picture you take has already been taken before. I also had to wait in a line of sorts to get to the spot I wanted to shoot from. Nonetheless, still a beautiful site to see the falls surrounded by the autumn colors. I got a few pics and headed back to the truck. 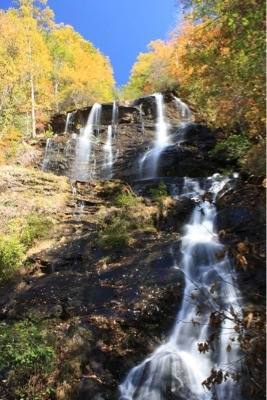 Amicalola Falls is the tallest waterfall in the southeast at 729 feet. If you want to see the falls in HD watch this on YouTube. There were some colorful trees near the parking lot, so I decided to play around with my camera before calling it a day. Anytime I go out on a photo shoot I like to get a unique image that I can use to make an album cover. This picture below is what I came up with as the Photo Album cover and header for my blog post. It was quite fun getting these spinning pics, and probably entertaining to watch for those nearby. If I had’ve know how cool they look on screen, i probably would have stayed there spinning for hours trying to get the perfect shot. My goal was to focus on a single leaf and then blur everything around it. I didn’t get exactly that, but it was fun experimenting with my camera settings. 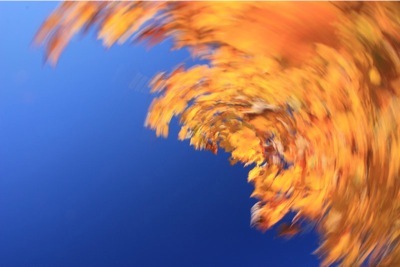 For the photographers out there- put your shutter speed to about 1/20 and continuously snap the shutter and you spin in a circle. It helps if the subject is directly above you as it was here. Be sure your ISO speed is not too high as that will reduce the bluuuuuurrrrr that you get in the pic. Also, you may need to use manual focus if your autofocus is going crazy as you snap so many pics while moving. Well after all of this, it was time to head to the house. I hope you enjoyed reading about my adventure, and I hope it inspires you to take a trip to north Georgia before the winter sets in. There was still some green in the trees but with the cold temperatures being more prevalent I’m sure the leaves will be gone soon. 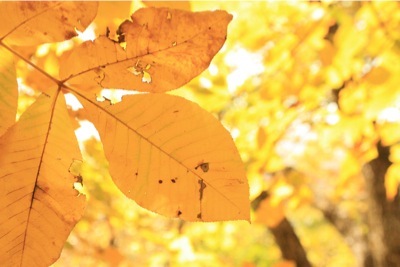 I would say that the first couple of weeks in November would be the optimum time to see the fall colors at their peak. It’s an easy trip and it’s very rewarding, even if it’s just a day trip like mine. As you can see I only made two stops, Brasstown Bald and Amicalola Falls, and it was well worth it. If you live in the Loganville area, Brasstown Bald is only about 2 hours away and Amicalola Falls is less than that. Plus there are plenty more options for you to add to your journey. 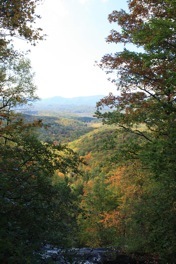 For example Helen, which was on the way for me, or Vogel State Park, which is very close to Brasstown Bald. No matter where you decide to adventure, I hope you are able to take a gander at the beautiful fall down in Georgia.